A nature journal is a wonderful way to add lots of reading, writing and drawing to your garden project. 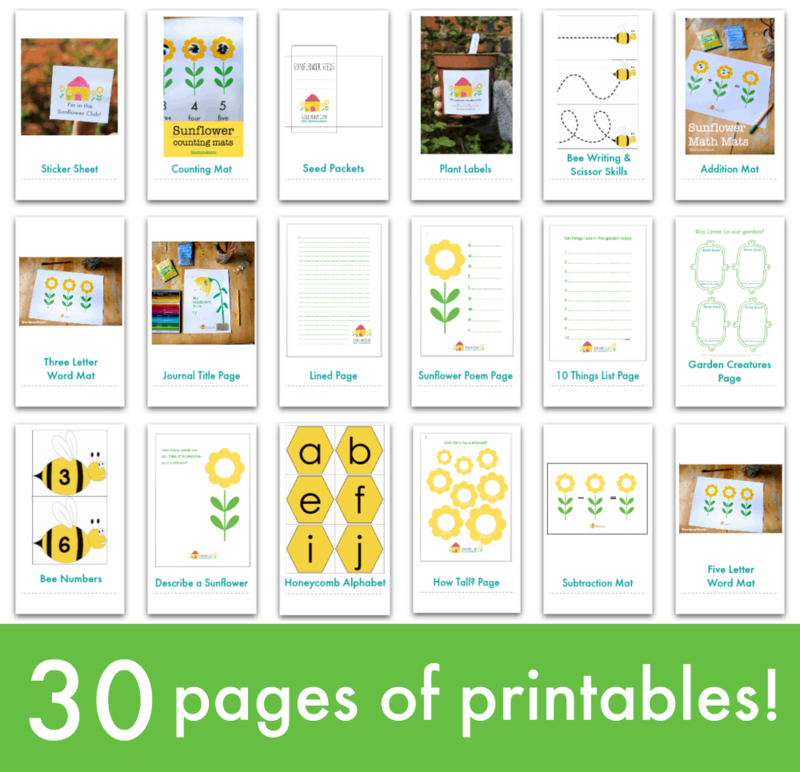 Use this pretty Sunflower Journal, from the Sunflower School printables kit, all spring and summer long. 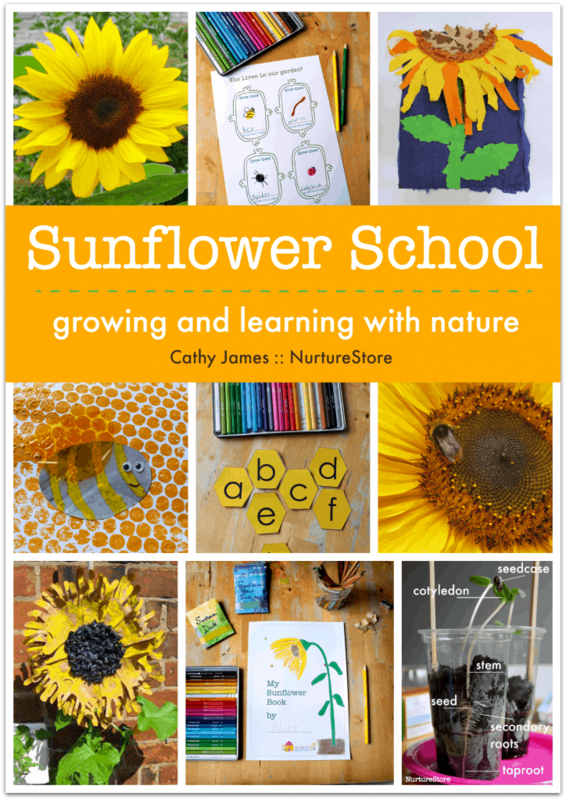 Let’s connect our children to nature all spring and summer long with an engaging curriculum all based around sunflowers. 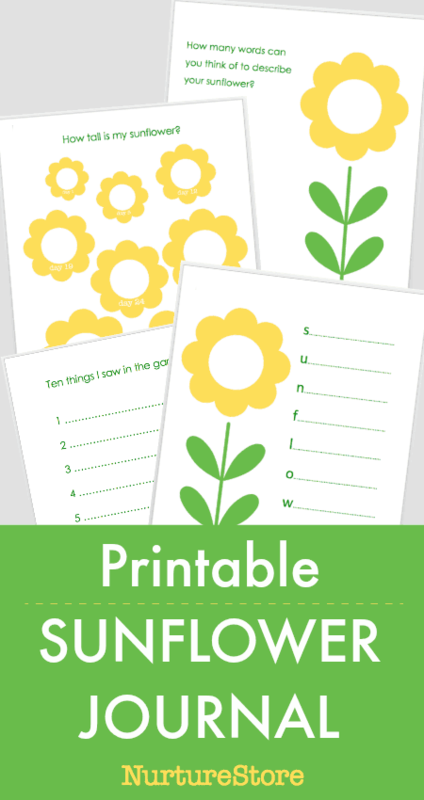 Us this special Sunflower Journal to record your sunflower growing project. A nature journal is the special place where you record all the interesting things you see, smell, hear, feel, eat and wonder about, through the year. 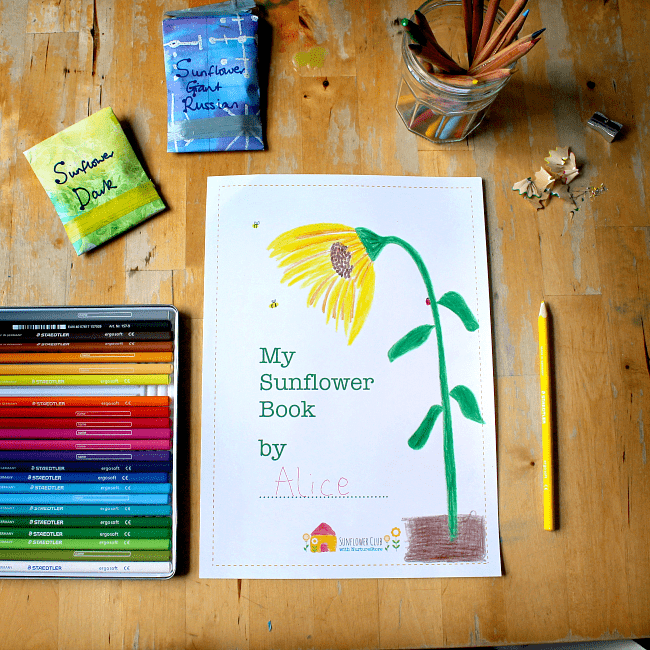 “My Sunflower Journal”, which is included in the Sunflower School curriculum pack, contains pages with writing and drawing prompts, plus spaces for your own ideas. You can print off as many copies of the journal as you like, printing the full book or individual pages.